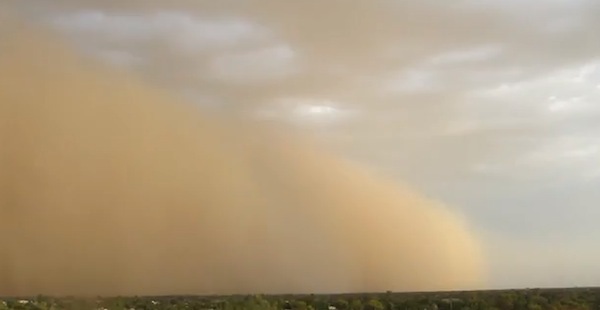 A major dust storm has hit Phoenix, Arizona for the third time this summer. As you can see from the video below, again it turned the sky brown as the huge wall of dust swept through. Unsurprisingly, the dust storm took down power to thousands of people and delayed flights. The storm swept into the Phoenix area around 6pm local time on Thursday, pushed by a thunderstorm packing winds of up to 60 mph, according to the National Weather Service. Visibility in many areas was reported to be just a few hundred yards. This was the third major dust storm to swept through Peoenix since just last month.